The Melbourne Airport room where three unaccompanied minors stayed overnight. 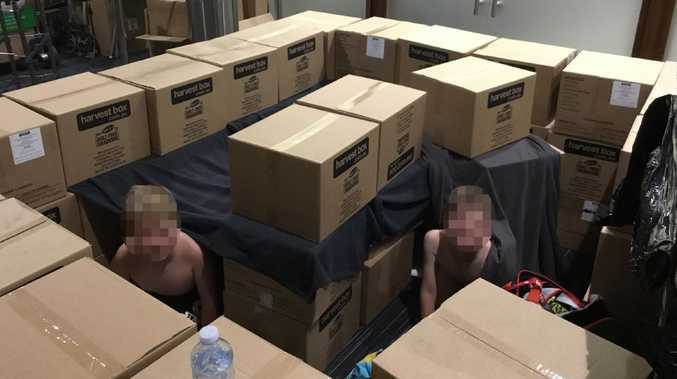 A GOLD Coast mum whose nine-year-old son's solo flight to Sydney to visit his grandparents was diverted says he was forced to stay in a makeshift room in the airport created using cardboard boxes. 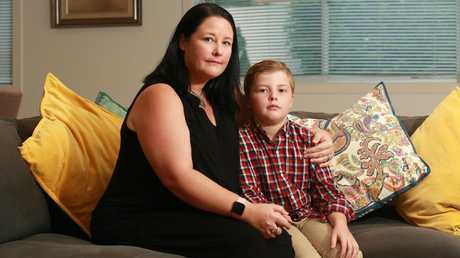 John Meredith, 9, was an unaccompanied minor on last Thursday night's Virgin Australia flight from Brisbane to Sydney, where he was visiting his grandparents. Wild storms on the east coast forced the plane to divert to Melbourne. But the F1 Grand Prix meant the city's hotel rooms were booked out, forcing thousands of stranded passengers to stay overnight at Melbourne airport. John and two other boys were given blankets and pillows and a room off the Virgin Australia Lounge to sleep in, with their makeshift accommodation made using cardboard boxes. Meanwhile, his frantic family weren't told for hours he was OK, John's mum Katie Meredith said. 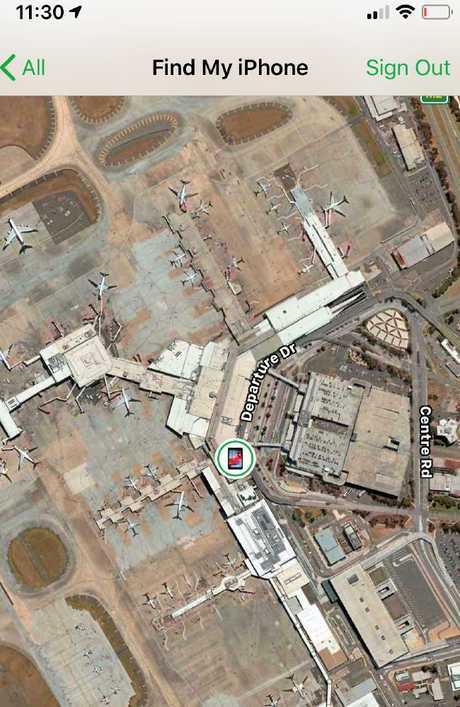 Ms Meredith said the flight had been due to land in Sydney at 9.10pm. "My parents were waiting at the gate and no one was around to tell them it had been diverted," she told the Gold Coast Bulletin. "It was at 11.40 that night they were finally contacted by someone from Virgin telling them John had landed in Melbourne. "They called on an unlisted phone and didn't leave a contact so we were unable to get details about where he would be going." John's grandmother was listed as his nominated guardian. Around 12.15pm John's grandmother got a second call from the airline and was told staff had bought John food from McDonald's and was looking for a hotel room for him, the Bulletin reported. At 2.39am the grandmother was told John had been booked on a flight from Melbourne to Sydney at 10am the next day. Virgin Australia said the child was under constant supervision and was made "as comfortable as possible" during the night. The airline apologised for "any breakdown in communication" with the John's guardian. "In times of weather disruption, we do our best to accommodate guests onto other flights or provide accommodation when their flights have been diverted," a Virgin spokesman said. Katie Meredith was only able to locate her son through his Find My Phone app. "We take the utmost care when transporting unaccompanied minors and aim to ensure their nominated guardians are aware of any developments as they arise. In this instance, our ground crew supervised the child and made him as comfortable as possible in a room in our Melbourne Airport Lounge ahead of his flight the following morning. "We apologise for any breakdown in communication between our team and the child's guardian during the course of the evening." Ms Meredith said she wanted the airline to have better procedures in place. "Let's not forget we are talking about a nine-year-old boy, who last month had a heart operation. I would never agree to have him sleep on the floor at an airport," she told the Daily Mail. "His godmother lives in Melbourne, she would have picked him up if I had the opportunity to know he wasn't going to a hotel." news.com.au has contacted Katie Meredith for comment.